THE opposition MDC Alliance has condemned the country's courts as "captured" after its urgent High Court Application to overturn the police ban on the coalition's rally was deferred to Monday. Alliance official had notified the police about the rally as required by the law, but the country's law enforcement agency refused to give a go ahead citing the recent typhoid outbreak in neighbouring Gweru. "There has been a typhoid outbreak in the province. Health officials are not allowing the public gathering," Kwekwe Police chief Superintendent Conrad Mubaiwa said. MDC Alliance organising secretary Amos Chibaya told NewZimbabwe.com that the party had followed the legal route as a matter of urgency but were shocked by the High Court which differed the matter for hearing to Monday at 2 pm. "This is shocking to say the least. The way the courts have dealt with this matter leaves a lot to be desired," the visibly angry Chibaya said. "Bulawayo High Court Judge Martin Makonese indicated that the matter was going to be heard on Monday at 2 pm, but we are supposed to have the rally tomorrow (Sunday. He added; "Our lawyers filed this matter as an urgent application. "This is only a reflection that our courts are not free; they are captured. As a law-abiding party we followed the legal route, and this is what we get?! It's very disappointing." "In Kwekwe, our youths are on the ground working in preparation for the rally. I myself will be at the rally to explain the challenge to our supporters," he said. "I would be misrepresenting facts if I say the president is coming or not coming," he said while assuring party supporters that the rally was proceeding as planned. 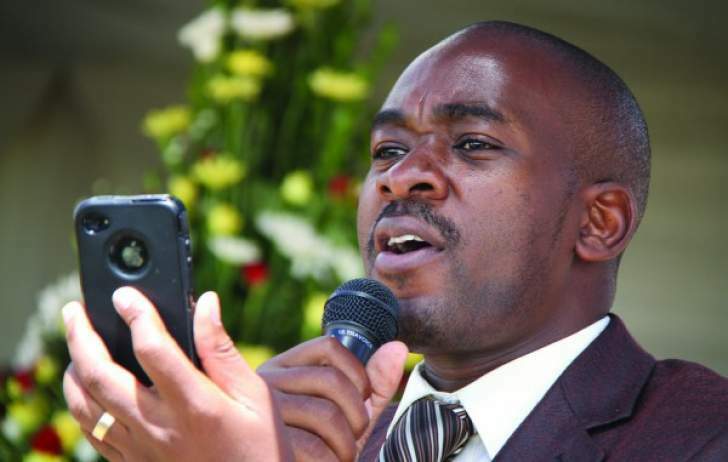 Chamisa, who rejects the results of the July 30 elections, has lined up rallies across the country to, "thank supporters," and mapping the way forward for the party.